My wife Meghan takes a break on the ice road to enjoy a Tim’s coffee. We’re so Canadian it hurts. 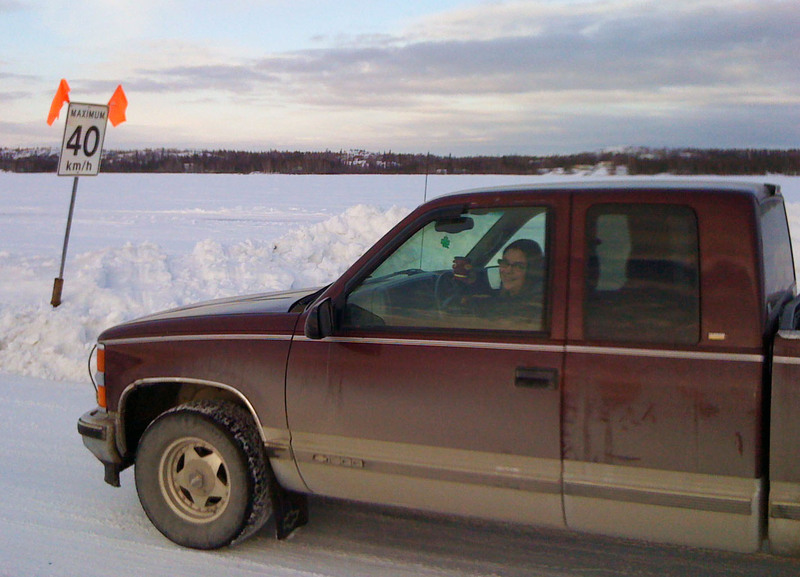 This entry was posted in Steve Sharam and tagged ice road, winter, Yellowknife. Bookmark the permalink.